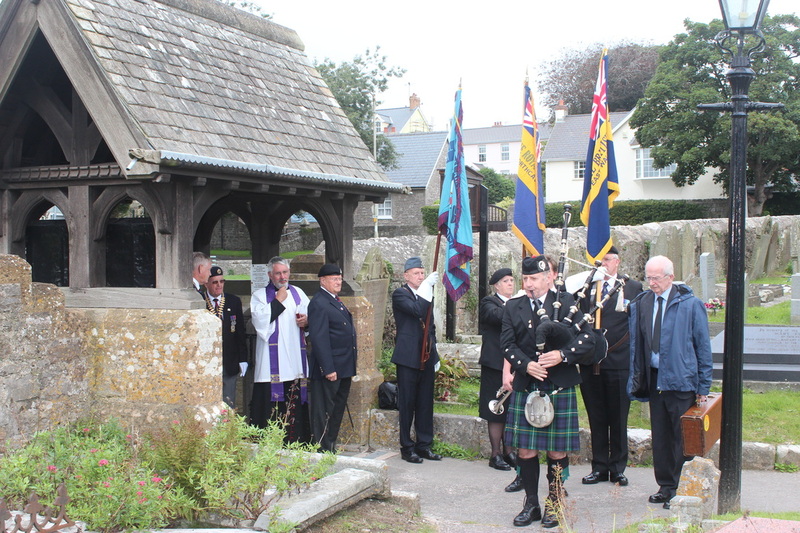 On 24th August 2016, at 2pm, a Service of Remembrance was held at St John’s Churchyard, Newton, commemorating the centenary of Private John Campbell’s death. 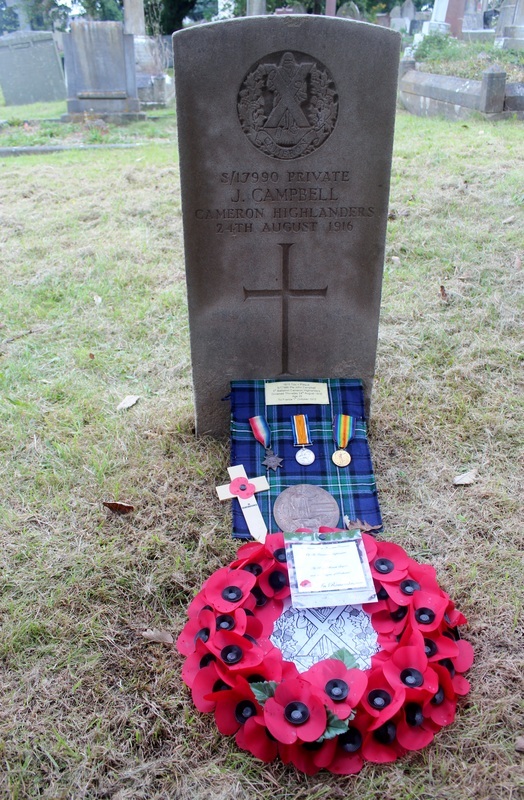 Private Campbell had enlisted into the Queen’s Own Cameron Highlanders in 1915. The following year he was wounded at the Somme; suffering shellshock as a consequence. 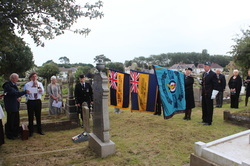 Later in the July of 1916, he arrived at the Western General Hospital in Cardiff before being transferred to the St John’s Auxiliary Hospital, Rest Bay, Porthcawl. John recovered from his wounds, which potentially meant a return to active service. 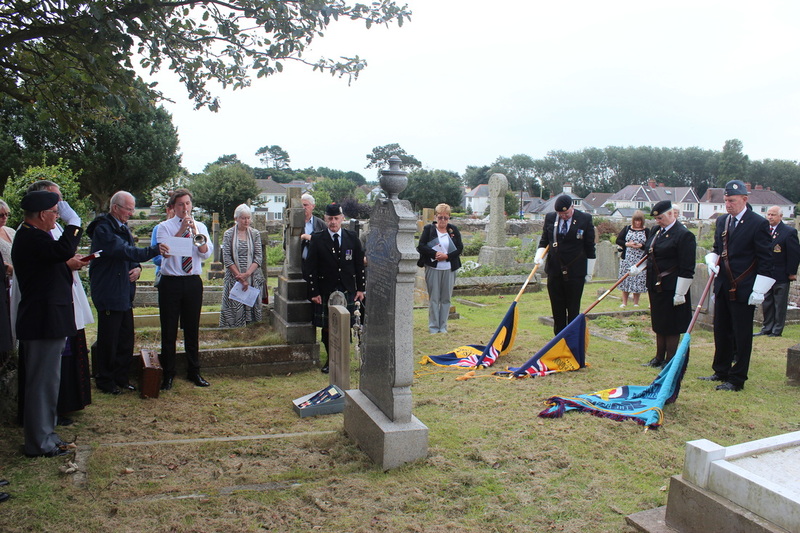 On Tuesday, 24th August 1916, at 10.30am, his body was retrieved from the sea, opposite the Sea Bank Hotel. The inquest held into his death a week later, recorded a verdict of ‘Found drowned.’ Studying the inquest, you cannot fail to note the tragic effect of shellshock. 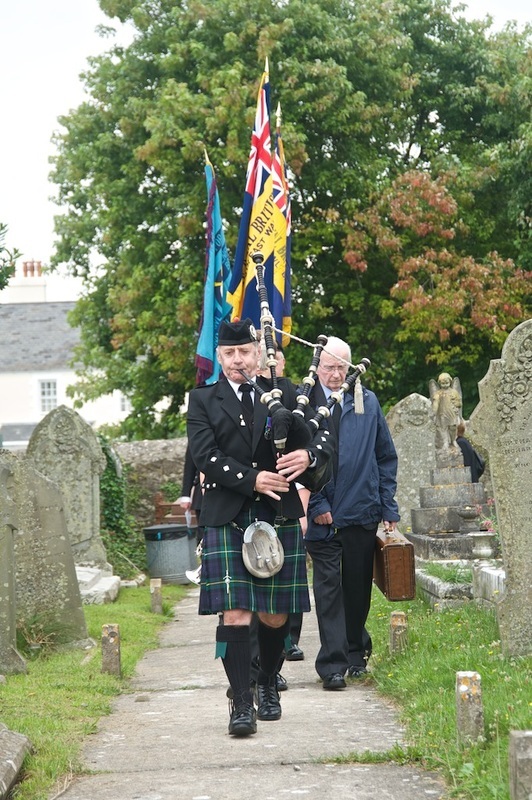 At the Service of Remembrance, last week, the congregation was led to the graveside by bagpiper, John Campbell. 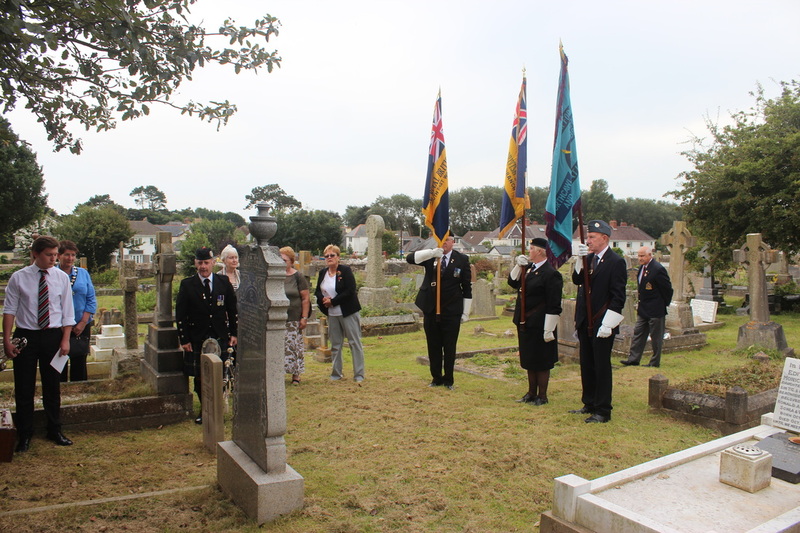 At the graveside, owner Alun Davies placed Private Campbell’s medals on the grave, whilst Father Philip Masson spoke of the tragic effects of war, throughout the years, on the minds of soldiers, like John Campbell. 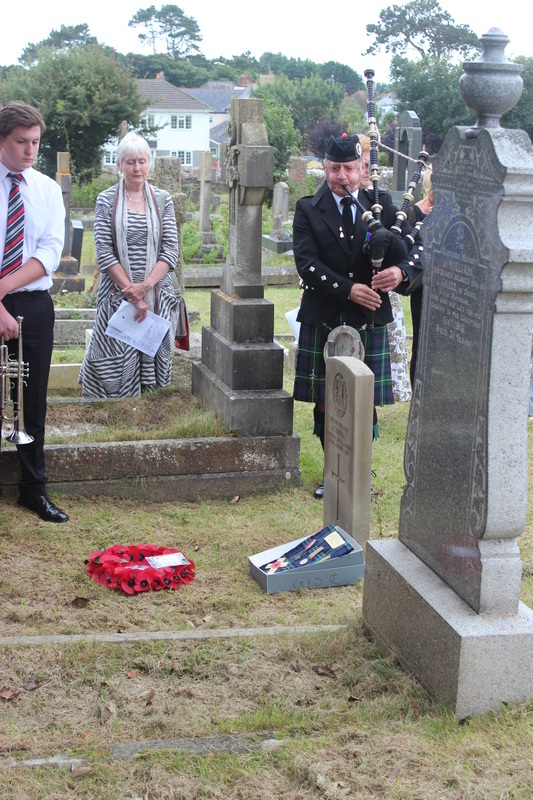 Allan Lloyd, Chairman of the Porthcawl Branch of the British Legion, read a poem by Scottish poet, J.B Salmond, ‘Poppies, followed by’ Scotsman Ian Nisbet’s brief account of Private John Campbell’s life. 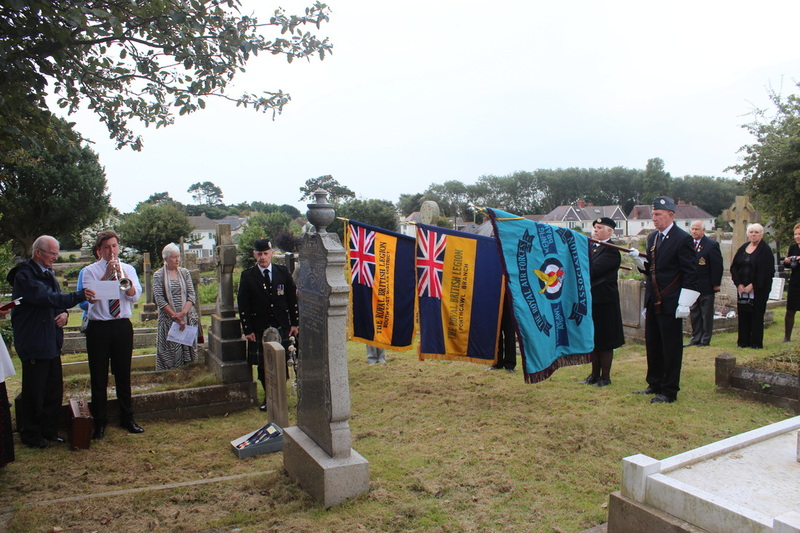 During Reveille, played by Edward Jones, the British Legion lowered their standards. 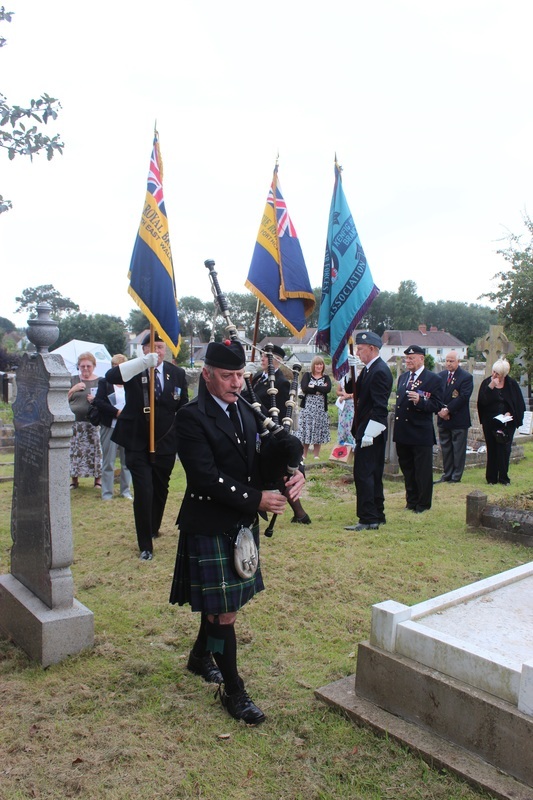 After the Blessing, the service ended with Ian Nisbet placing the poppy wreath, donated by the British Legion and Porthcawl Museum member Mrs. Cheryl Purchase, on Private Campbell’s grave, as the piper played ‘Flowers of the Forest, ’ a Scottish lament. Private John Campbell, will be remembered as the young man who enlisted with the intention of serving his country in a time of great need. Another life sacrificed for our freedom.